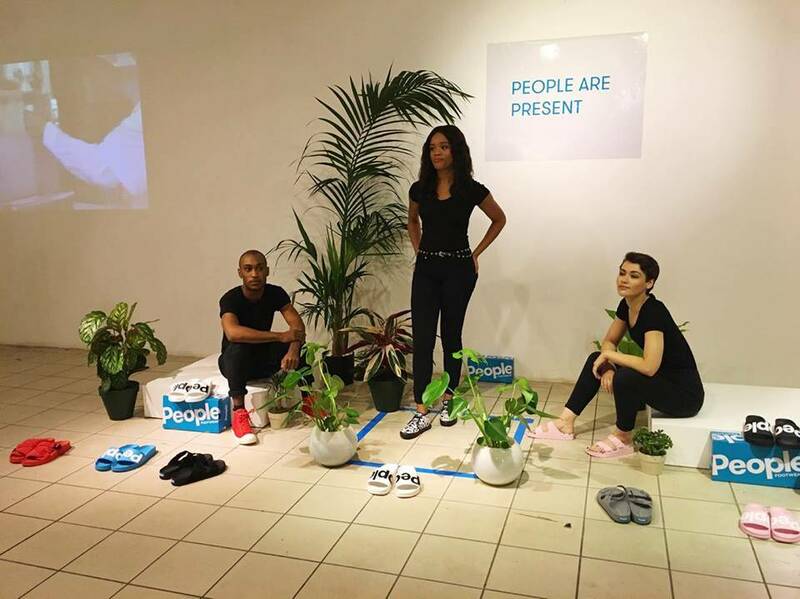 Last night I went to the UK launch of People Footwear at Hoxton Gallery near Old Street, to enjoy Vegan food, look at the new range of (Vegan) footwear they are releasing in the UK, and have some drinks. I went with a fellow Vegan colleague called Daisy and my two blogger besties, Lissa & Lauren! 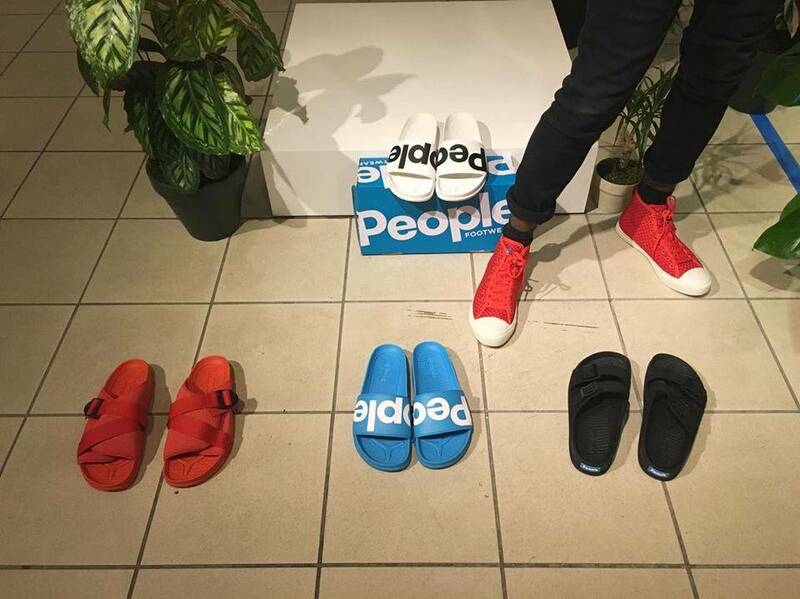 People Footwear originated in Vancouver, and as a brand they are “dedicated to producing the next generation of classic casual footwear.” PETA recently included People’s ‘Lennon Buckle Down‘ style as one of their favourite “Vegan Summer Shoes for Men“. 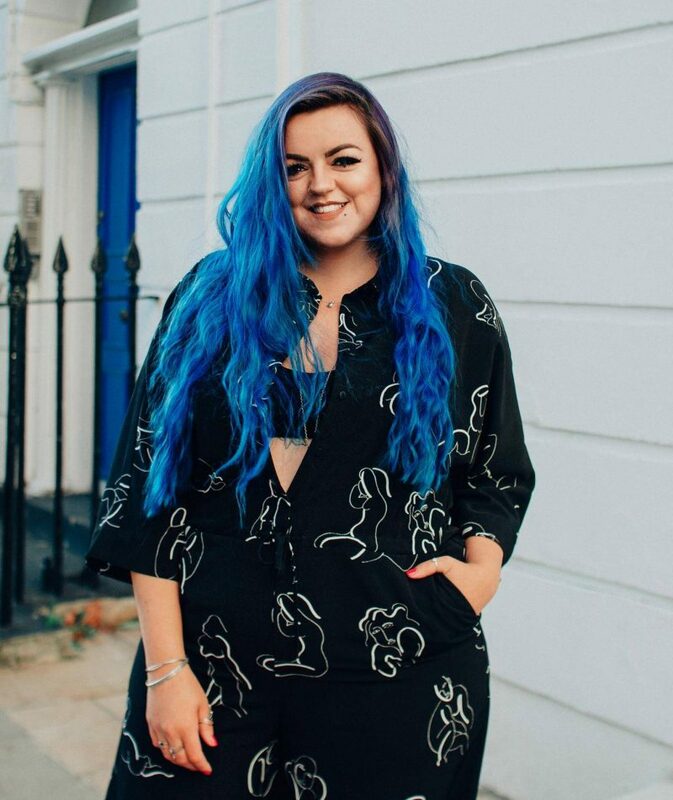 Although the atmosphere was possibly theee MOST East London “super cool vibe” I’ve ever experienced (and I’m not particularly “cool” in the East London (or any) sense, although Daisy absoluuutely is, check out her Instagram! ), it was one of those evenings where there wasn’t pressure to follow a schedule, or listen to presentations – it was very relaxed with unlimited gin in a tin (which you can’t really go wrong with in my opinion), and Vegan beer from Northern Monk Brew Co! 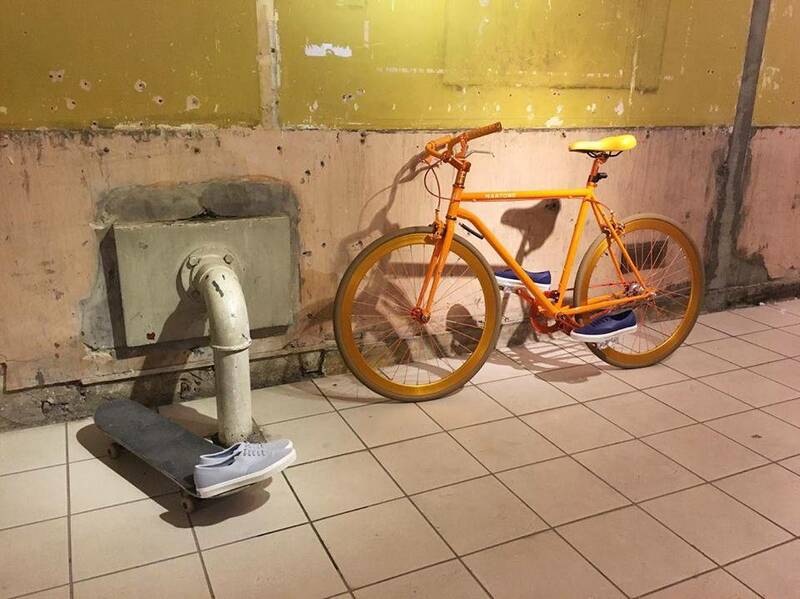 The space was just the right size for the purpose – not too big, but also spacious enough that it wasn’t crowded, so we could wander around and view the Spring/Summer 2016 range in our own time. 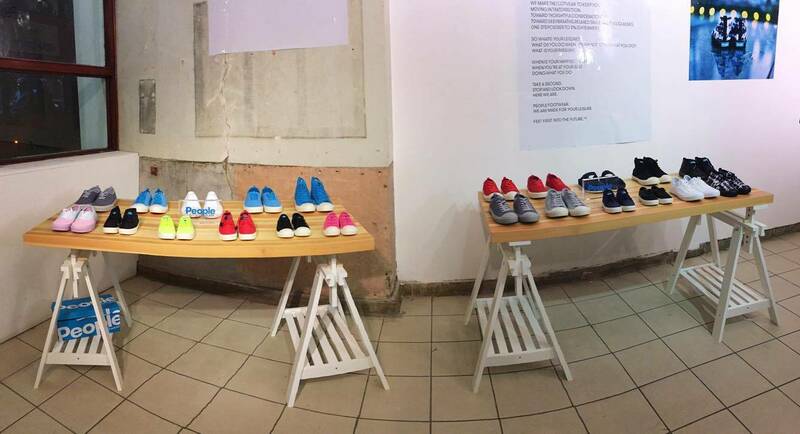 I actually really enjoyed chilling out and looking/touching colourful shoes now and again whilst having a few drinks. I’ve always been a big fan of Vans and this brand is kinda similar, but I really like how clean, bright and simplistic the designs are. All of the People Footwear products have soled made using something called SkyLite, which is a molded foam, that apparently provides “the optimal balance of support, cushion, and light-weight performance”... Sounds pretty fancy ‘ey! Now, I’m not sure about you, but I was incredibly intrigued by this SkyLite stuff, so I picked up a couple of pairs of shoes and they felt lovely. Lightweight & squishy, which I am a big fan of! The only slight disappointment for me was that the Vegan food company we thought was going to be there, let People Footwear down at the very last minute… By not turning up at all (sad face)! 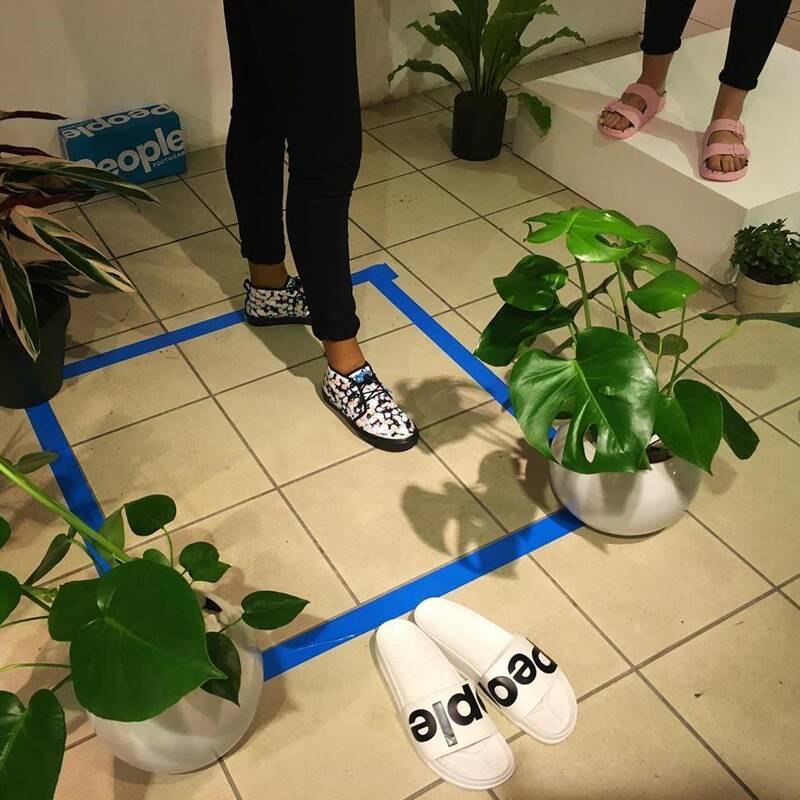 People Footwear did however keep people happy by ordering a whole load of Domino’s pizza – unfortunately there weren’t any Vegan options, which was a bit of a disappointment considering the nature of the event. When browsing initially on the site ahead of the event I didn’t like the shape of some of the footwear, but it really helped seeing them in real life (and on humans t00). They aren’t all to my taste, but I did quite the Lennon Slides in both black and blue (blue pictured above with “People” written in white across them) , as well as the Stanley / Stanley Knit (which you can see in the panorama shot further up the page on the left) – they all come in a range of colour schemes and I think they would be perfect for the Summer! Despite the little food issue (which didn’t affect my overall experience of the event/opinion of the brand at all, these things happen), I had such a nice evening chatting with old friends, new friends and fellow bloggers – including Stephane, founder of Style Pilot who was absolutely lovely. Surprisingly the shoe style I liked the least online (The Cypress), was actually my favourite in person and I’m a little annoyed at myself for not getting a better photo of them. You can sort of see them in the above photo on the girl in the blue square! I LOVE the print – I’m not entirely sure what the design on them is, and can’t find them on the website at the moment, but it almost looked like a flowery/tie-dye design. Very cute! I really liked this brand and can’t wait for them to actually be available in UK & come out in stores! If I manage to get my hands on a pair I’ll be sure to write about them!